Over the years “Don’t Stop Believing” has become synonymous with Northeast Championship Wrestling (yes, even before Glee). You know that when Journey hits, the show is over. 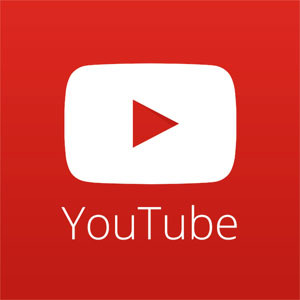 As we celebrate the New Year, close out 2014, and look back at this amazing Season rock out to some Journey and enjoy! 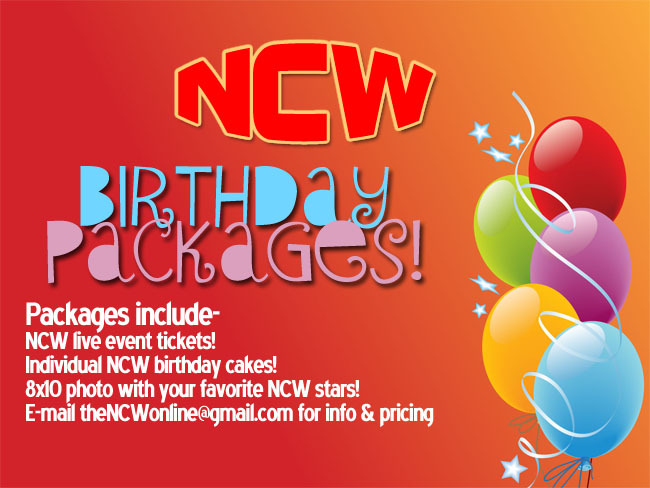 PRESS RELEASE: NCW’s 2014 Season Kicksoff March 7th! 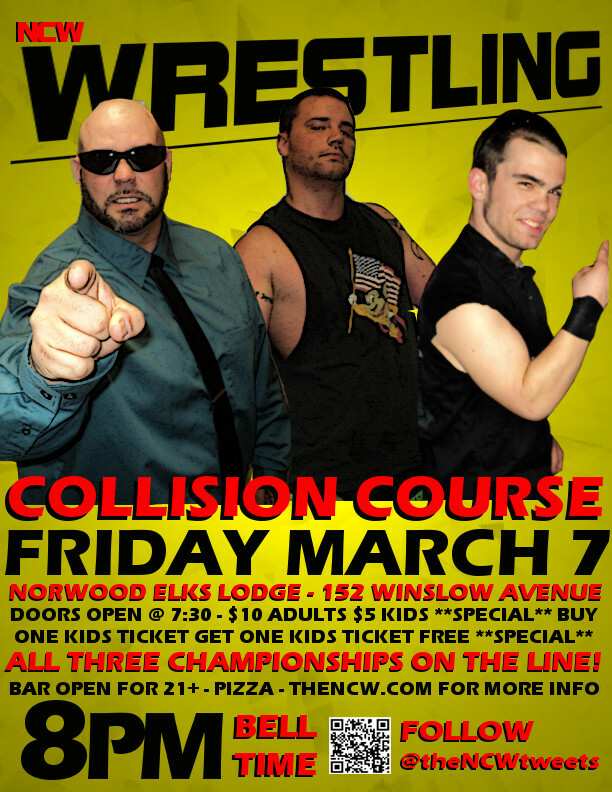 NORWOOD– On Friday night March 7th Northeast Championship Wrestling kicks off its 2014 wrestling season when we return to our home at the Elks Lodge [152 Winslow Avenue] in Norwood, MA for NCW COLLISION COURSE! Competing in a seasonal format NCW presents a unique showcase for fans of professional wrestling, bringing forth our larger than life characters, dynamic storylines, and incredible athleticism while providing a thrilling experience for fans of all ages. The newly crowned Heavyweight Champion “RIOT” Kellan Thomas (along with his trusty sidekick Kepler) will be in the house March 7th putting his NCW championship on the line at COLLISION COURSE, defending against one of NCW’s original players in the four time former Heavyweight Champion Triplelicious. After triumphantly defeating “The Maine Event” Scotty Vegas at WrestleFest IX, Thomas looks to cement himself as NCW’s top dog by putting down the cagey veteran Trip in his first title defense.